Click on any of the images to see a larger view. 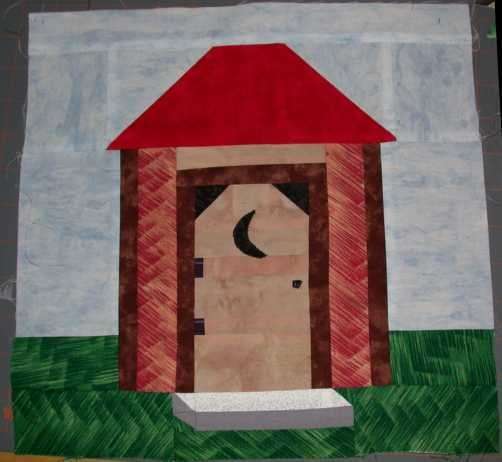 On the aforementioned quilting forum, someone was looking for a pattern for an outhouse quilt block. I couldn't find one that looked really 3D on the web, there were actually a few out there believe it or not, and finally decided to do this myself. Lost of pieces. But again, had a lot of interest in it so I had to mock up the square and make sure it is correct. I may quilt this and frame it for my DBF to display in hubbie's bathroom which is done in fishing motif. 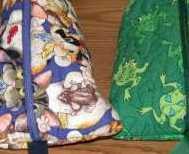 Another set of humbug bags using frogs for Hanna and cats for Trisha. (The cat fabric is from Michael Miller and absolutely hysterical.) 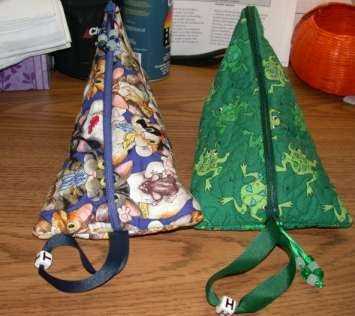 These are the medium size at about 10" in length. 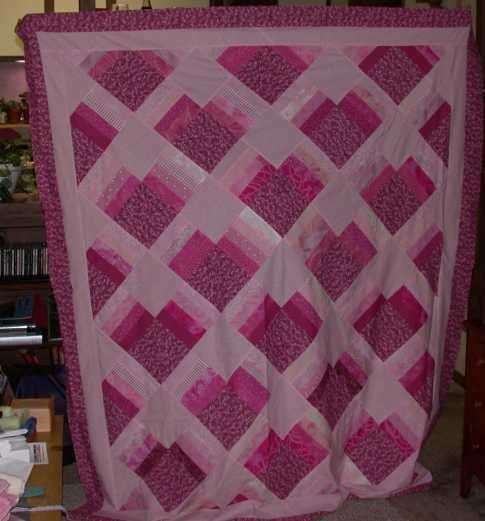 This was done in part due to a quilt challenge. 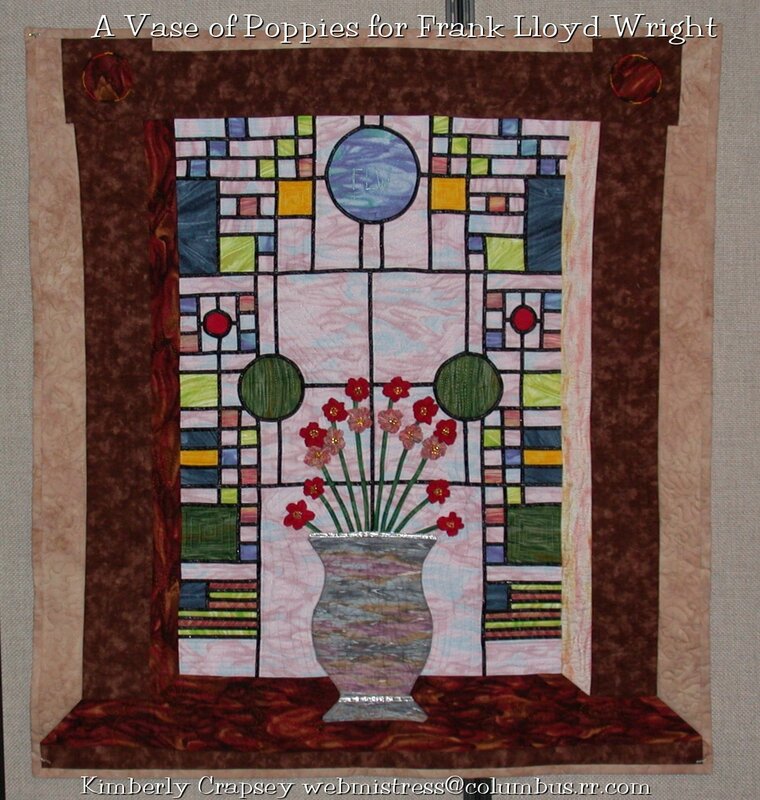 You purchased 8 fat quarters for 10$ from www.poppiesfabric.com (I purchased 4 additional yards) of the Stained Glass line from RJR. Then the only other qualifications were that it be at least 24x24" in size. You can read more about the whole Challenge process at www.quiltpox.com/Challenge. 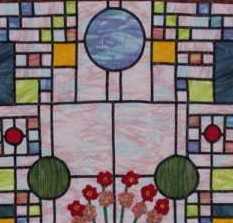 All graphics and content ©2004-2007 QuiltPox.com & Kimberly Crapsey, unless otherwise noted. See full copyright notice.